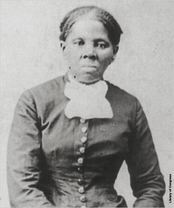 The Treasury Department has announced plans to feature abolitionist and hero Harriet Tubman on the twenty-dollar bill (in 2030), and this will mark the first time a woman has been featured on a dollar bill since the 1870’s. The first and last woman to appear on any U.S. dollar bill was Martha Washington, the wife of the first president George Washington. In 1862, the first legal tender one-dollar banknote was printed, featuring Lincoln’s secretary of the treasury, Salmon Chase. After 18 years, the portrait of Chase on the dollar bill was replaced by one of George Washington. Six years after the first legal tender dollar bill featuring George Washington went into circulation, a separate $1 silver certificate was printed featuring Martha Washington. Her portrait on the back of this silver certificate was the very first time a female political figure had ever been shown on U.S. currency. Ten years later, another $1 certificate featured both George and Martha as part of the Educational Currency Series. On this silver certificate, the famous couple was shown on the back of the bill. No other woman has been featured on a dollar bill since.As of 2016, the only currency that has a woman on its face is the golden dollar coin, which bears the image of Sacagawea, but the coin has not been in circulation since 2012. Mendez v. Westminster was a 1947 federal court case that challenged racial segregation in Orange County, California. This case occurred seven years before Brown v. Board of Education made its way to the Supreme Court. The case was brought forth by five Mexican-American fathers who claimed that their children (along with thousands of other Mexican American children) were victims of discrimination and told to attend schools other than the school in their district (Westminster Elementary School). 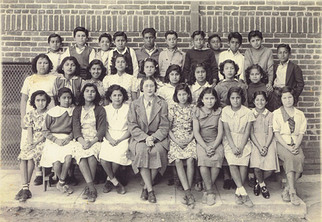 The US Court of Appeals held that the segregation of Mexican and Mexican American students into separate schools was unconstitutional. It was the first ruling ever in the United States that opposed segregation., but it was not a Supreme Court case, so this ruling did not hold for all 50 states. 1884: Carlos Montezuma, AKA "Wassaja" became the first Native American (and individual of color) to graduate from the University of Illinois. He later became one of the first to earn a medical degree. A residence hall named in his honor will open to students this Fall. Click here for more information. 1906: Maudelle Tanner Brown Bousfield became the first African-American woman to graduate from the University of Illinois at Urbana-Champaign and she graduated with Honors. From 1903 to 1905 she was the only black woman on campus. Bousfield Hall, named in her honor, opened to students in the fall of 2013. Click here for more information.